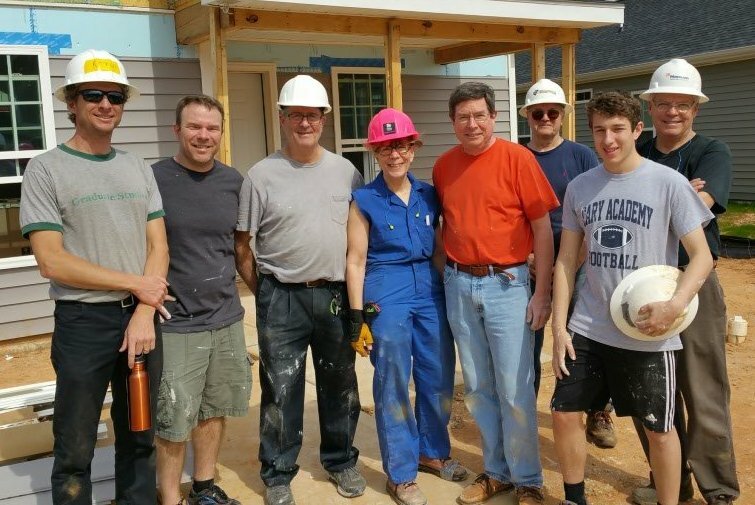 The second date reserved for St. Paul’s on the 2017 Episcopal Build for Habitat for Humanity is coming up on May 20, 2017. If you’ve been looking for a chance to help provide affordable housing for a deserving family by doing hands-on outreach, or if you just want to spend a Saturday with other St. Paul’s parishioners, here’s your chance! There’s no construction experience nor tools required, the work day starts at 8:15 AM and ends by 4:00 PM. Lunch is provided. Volunteers must be 16 years or older (volunteers under 18 years of age must bring a parent/guardian waiver on their volunteer date). To register and to obtain necessary waiver forms, click HERE.. If you have any questions, contact Dave Mackie at dw.mackie@gmail.com or 919-260-6707. Click HERE for pictures of the April 29 build.